The Mumbai Pune Expressway, (officially known as the Yashwantrao Chavan Mumbai Pune Expressway) is India’s first six-lane concrete, high-speed, access controlled tolled expressway. It spans a distance of 94.5 km connecting Mumbai with Pune. It is one of India’s busiest roads. 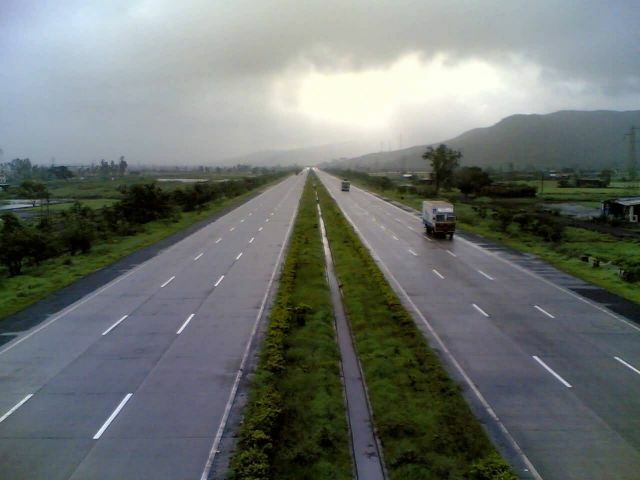 The expressway has reduced the travel time between the cities of Mumbai and Pune to approximately two hours. The expressway starts at Kalamboli (near Panvel) and ends at Dehu Road (near Pune).